Attorney General Jeff Sessions unwittingly has become a key supporter of Israel’s thriving medical marijuana industry. Just ask cannabis researcher Yossi Tam. Speaking in Palo Alto this week, the Israeli expert on cannabinoids — chemicals that give the cannabis plant its medical and recreational properties — said anti-pot politics in the United States have allowed Israel’s medical marijuana industry to thrive. Israel even has attracted some of the top American researchers, he said. However, in Israel, which is preparing to start issuing export licenses for cannabinoid-based products, cannabis research is flourishing. Tam is focused on how cannabinoids can help patients battle obesity, and he’s also part of a team seeking medicinal uses of cannabis in fighting everything from epilepsy to traumatic brain injury to cancer. 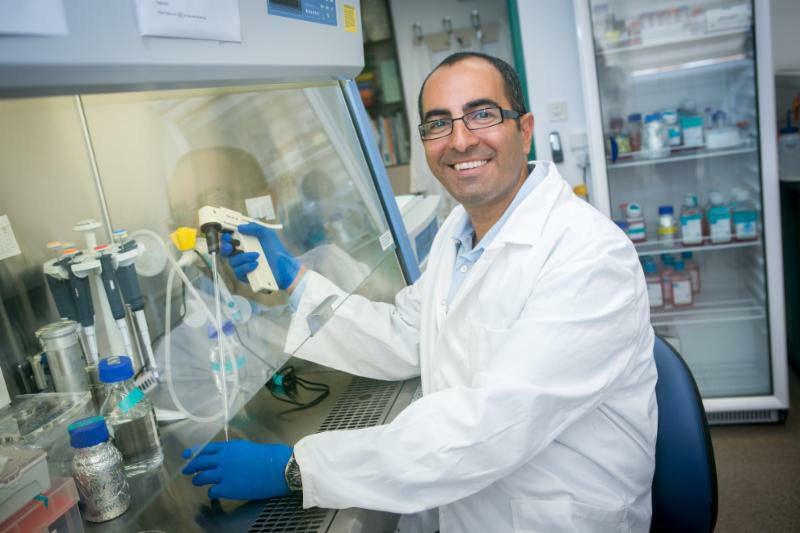 Tam is the managing director of the Multidisciplinary Center on Cannabinoid Research at the Hebrew University of Jerusalem, and he also heads the Obesity and Metabolism Laboratory there. He spoke Jan. 16 in Palo Alto at the Morgan, Lewis and Bockius law firm, telling an audience of about 50 that medical marijuana was first used in China nearly 5,000 years ago and that synthetic cannabinoids could have an even wider range of curative powers. The talk was presented by the California Israel Chamber of Commerce, American Friends of the Hebrew University and WGD Partners, a Palo Alto-based financial advisory firm. Recreational use of marijuana is banned in Israel, but medical marijuana is legal there — and Israeli researchers have been focused on the efficacy of cannabinoids in fighting pain and disease for more than 50 years. Meanwhile in the U.S., Sessions has spearheaded a federal drive to keep pot illegal, even as California this year became the eighth state to legalize recreational use of marijuana and more than half the states allow the use of medical marijuana. Tam works at Hebrew University with Raphael Mechoulam, who in the 1960s first isolated CBD and THC, the two most prominent of the many cannabinoids found in marijuana. Michael Mitgang, WGD’s managing director, gave a short presentation on the cannabis industry and its growth potential before Tam’s talk, predicting the $8.1 billion U.S. cannabis market in 2017 will balloon to more than $100 billion annually in a few years. Tam, a former dentist who did postdoctoral work in the U.S. at the National Institutes of Health, said Israeli researchers know their place at the forefront of cannabinoid investigation will be threatened if the U.S. reclassifies marijuana.